Ammann: GM is "well positioned” within the top three automakers. TURIN – General Motors sees no need to merge with another automaker to maintain profitability, the company’s president, Dan Ammann, said on Tuesday. Ammann was commenting after the New York Times reported on Saturday that Fiat Chrysler Automobiles CEO Sergio Marchionne had sent an email to General Motors CEO Mary Barra in March suggesting combining the automakers. According to the New York Times, Marchionne’s email to Barra detailed how global carmakers needed to consolidate to save money and suggested a merged GM and FCA would cut billions of dollars in costs and create an automotive giant. Asked about the report, Ammann said GM sells about 10 million vehicles a year so it does not have a scale problem. "We are focused on executing our plan. I believe we have opportunities within GM," he said. Amman, who was speaking in Fiat’s home city of Turin, Italy, said he had no plans to meet Marchionne or FCA chairman John Elkann while he was attending the 10th anniversary celebrations of GM’s global diesel center in Turin. GM is the third-biggest automaker by unit sales after Toyota Motor and Volkswagen Group. Asked if GM aimed to regain the global No. 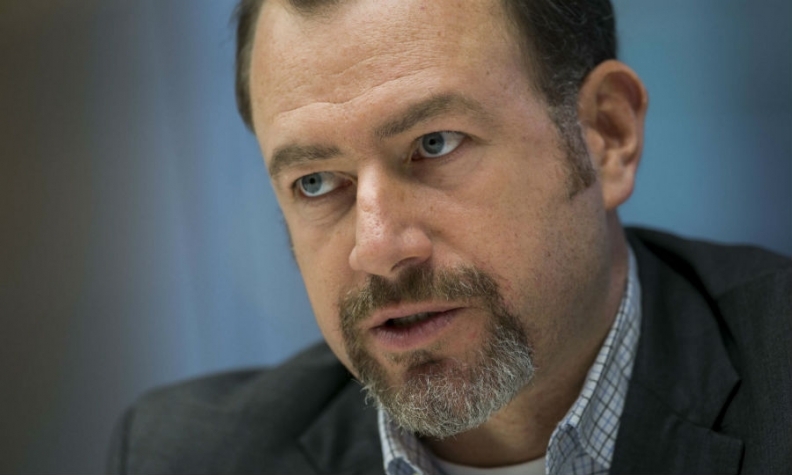 1 position, Ammann said the automaker was focused on its customers. If GM does a good job, the company will be “well positioned” within the top three, he said. GM is open to new partnerships for specific projects such as the company’s current cooperation agreements with Ford Motor for transmissions, Honda for fuel cells and with PSA/Peugeot-Citroen for joint development of vehicles for Europe, Ammann said. Marchionne’s comments that automakers are not making enough return of their investments were not relevant for GM. “We have a 20 percent return on capital target and we have been delivering about this target in recent years,” he said. Earlier this month Marchionne said in an analysis he titled "Confessions of a Capital Junkie" that automakers could potentially share 40 percent to 50 percent of vehicle development costs, returning 2.5 billion to 4.5 billion euros ($2.78 billion to $5.01 billion) of capital to shareholders every year. Ammann said GM’s European operations are on track to reach profitability next year despite the Russian market’s slump thanks to new models and pricing on new products that is aligned to targets. Opel/Vauxhall recently launched the refreshed Corsa subcompact and has the key upcoming launches of the Karl/Viva minicar this summer and revamped Astra compact model at the end of the year. GM narrowed its operating loss in Europe to $239 million in the first quarter from $284 million a year earlier despite plunging sales in Russia. The automaker is ending sales of Opel and mainstream Chevrolet cars in Russia and mothballing its St. Petersburg factory because of the country’s economic crisis. “We see better long term perspectives in Latin America than in Russia,” Ammann said.